Bald Eagles: Down in the Dumps? I recently enjoyed the honor and privilege of being elected president of ASNV’s board of directors. I will do my best to carry on the tradition of sound and thoughtful leadership that Carl Kikuchi instituted during his four years as president. During my term I would like to emphasize both the national and cultural importance of environmental stewardship and the personal rewards that come from immersing ourselves in the natural world. Educating through classes, field trips, bird walks, and presentations. Of course, an important part of the whole process is taking time as individuals to appreciate and enjoy the wonderful diversity and beauty with which nature surrounds us. Despite the many challenges facing wildlife and its habitat, we still should find moments to enjoy our natural heritage, to wander off into woods and fields and have fun. ASNV is fortunate to have a skilled and dedicated board of directors and staff to help guide the organization and implement its programs. Our four newest directors—Gerry Abbott, Roger Di Silvestro, Connie Erickson, and Doug Everhart—are already supporting ASNV’s website and newsletter outreach, adult education, and advocacy, among other critical activities. But we need more volunteer help if ASNV is going to realize its full potential. Over the next few months we’ll be working to improve our outreach to tap the wide variety of skills and interests of our members. Be sure to put our next Audubon Afternoon on your calendar. Beginning at 2:30 p.m. on September 30, four live owls—Great Horned, Barred, Barn, and Screech Owls—will pose for photos and close-up views as wildlife rehabilitators from Secret Garden Birds and Bees tell us about the lives these species lead in the woods and fields of Virginia. The program takes place at the National Wildlife Federation building, 11100 Wildlife Center Drive in Reston. Everyone is welcome. Bring the children! You can read more about it at Audubon Afternoons. This month’s theme for our Year of the Bird partnership with National Geographic, the Cornell Lab of Ornithology, and BirdLife International is “Cut Out the Plastics.” The call to action is say no to plastic bags, straws, and water bottles, and commit to recycling your household plastics. Remember to use the hashtags #YearOfTheBird and #BirdYourWorld. Also here are eight tips on how people can reduce plastic waste and protect birds. If we each do what we can to reduce the use of plastic and to clean up plastic waste before it degrades our world, we can make a real difference in the quality of our lives and in the protection of our wildlife. Take a bag with you when you bird, hike, or paddle our rivers; fill it with trash. You’ll be doing the world a good deed. 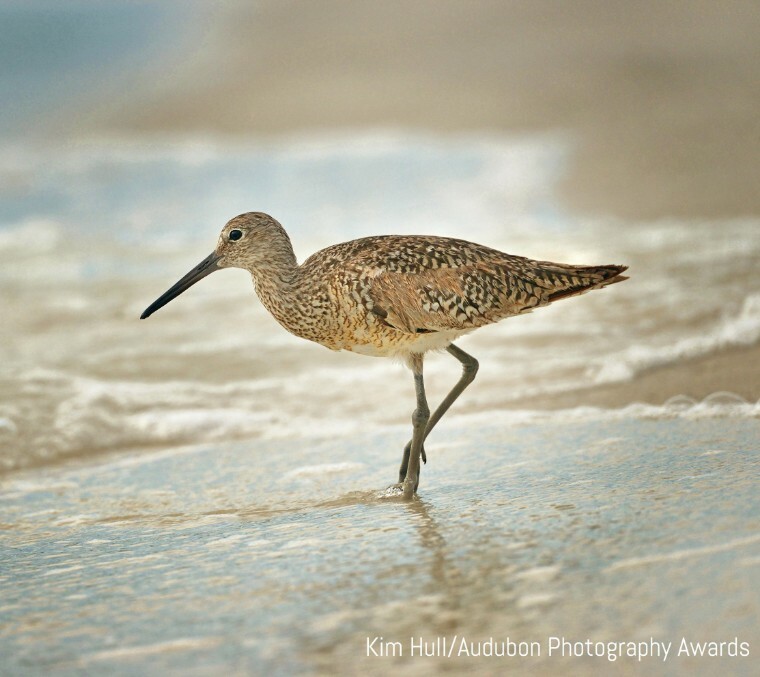 Join Marc Ribaudo for an evening class, Identifying Shorebirds, and an accompanying field trip. The class is recommended for birders who would like to tackle shorebird identification on their own. Sign up soon, as the class is filling rapidly—only two seats remain open. We will spend an evening in the classroom covering identification tips for shorebirds typically seen in our region. 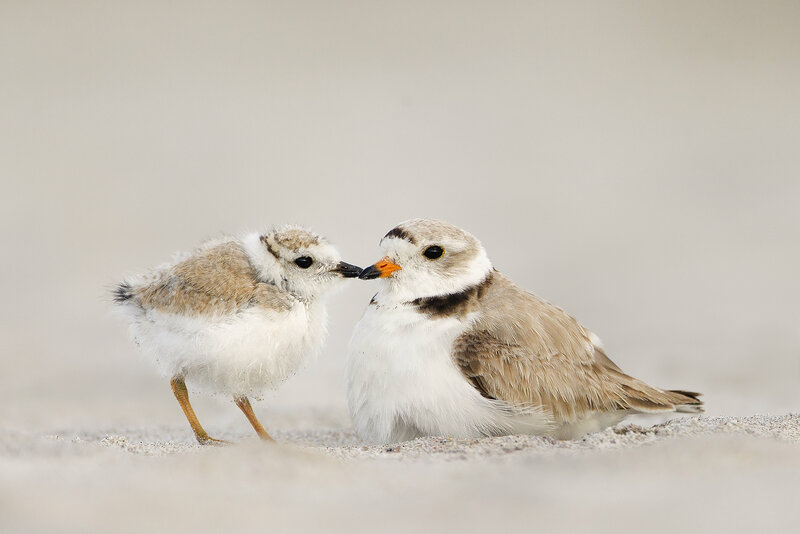 Emphasis will be on shorebirds that pose the biggest identification challenges, such as peeps. On the Saturday following the class we will visit Bombay Hook National Wildlife Refuge in Delaware to put into practice what we learned in class. Bombay Hook is one of the top shorebird spots in the Northeast and provides ample opportunities to view many shorebird species in close proximity to each other. We may also visit Port Mahon or Taylor’s Ditch, depending on time and what is being reported there that week. Bring sunscreen and insect repellent, since Bombay Hook is pretty buggy. 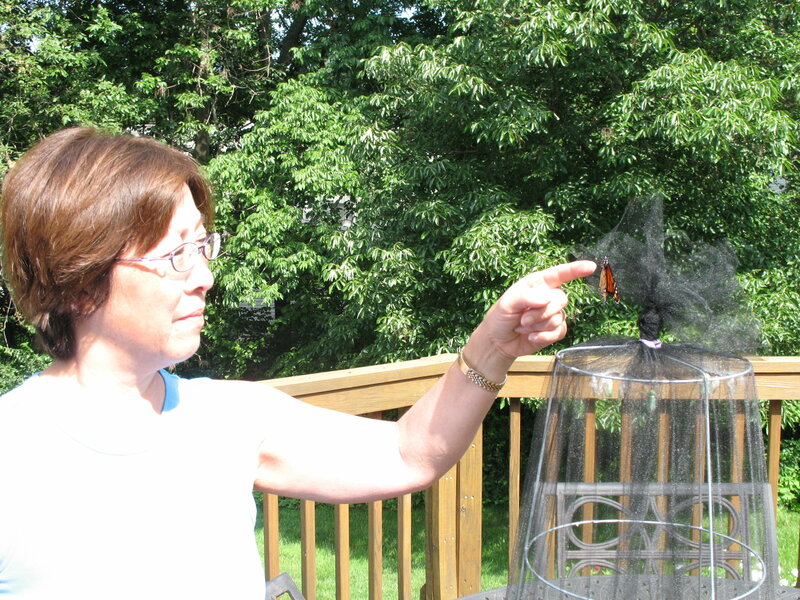 Be prepared for mosquitoes and green-head (biting) flies. Also, bring a picnic lunch, as lunch opportunities are limited in the area. A recommended book for this class is The Shorebird Guide by Michael O’Brien, Richard Crossley, and Kevin Karlson (Houghton Mifflin Harcourt, 2006). Sibley Guide to Birds by David Sibley (Knopf, 2014) is also a good basic field guide. 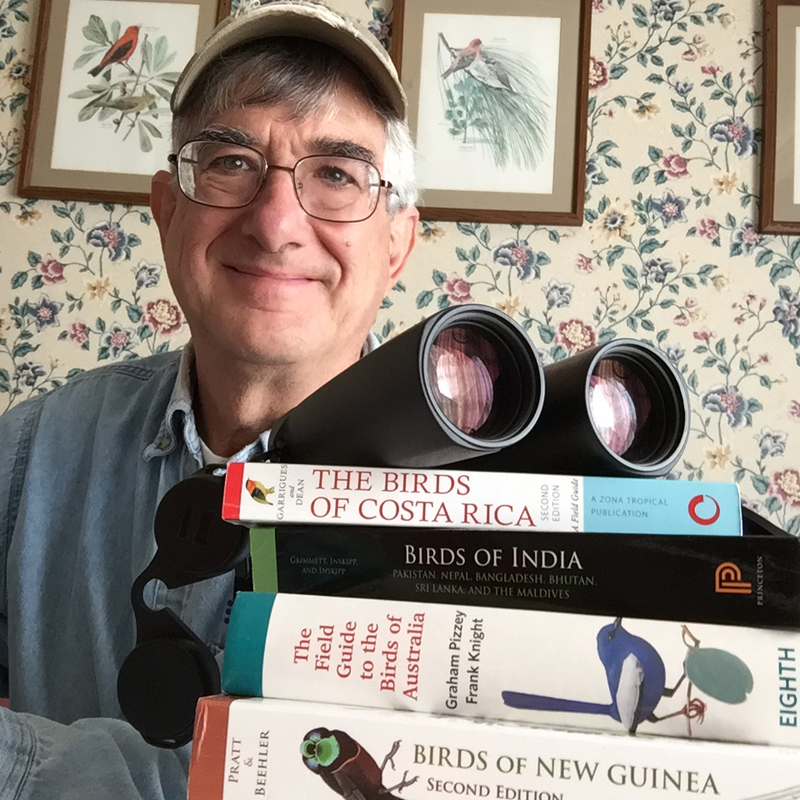 About the Instructor: Marc Ribaudo (right) has been birding since he was a teenager in New Jersey in the 1960s. He has a lot of field experience and is a regular trip leader for the Northern Virginia Bird Club and the Friends of Dyke Marsh. Are you new to the world of birding? Not sure if the bird in your binoculars is a warbler or a sparrow? Then we have a class for you: Beginning Birding Workshop, September 27, with ASVN board member and photographer Dixie Sommers. Focus your binoculars on the ASNV website for more information in the next week or so. The class is designed for adults and includes two field trips, one on September 29 and one on October 6. ASNV could really use your help with its Membership Committee—generating welcome letters to new members, publicizing volunteer opportunities, helping to engage new members, organizing volunteer rosters. Familiarity with word processing software would be helpful but isn’t required—most important is a desire to help your Chapter! Contact us at info@audubonva.org. Members of ASNV met last April with representatives of the Fairfax County Animal Shelter Advisory Board to discuss concerns about the impact of free-roaming cats on birds and other wildlife and about the shelter’s Trap, Neuter, and Return program. At the conclusion of the meeting, animal shelter officials invited ASNV to comment and offer suggestions on how the subject is covered on the shelter’s new website. Free-roaming, unowned, and “community cats” have contributed to or caused the extinction of 63 species of bird, mammal, and reptile worldwide. In the United States each year, cats kill 2.4 billion birds and 12.3 billion other native animals such as chipmunks and squirrels. In North America, cats are second only to habitat loss as the largest human-related cause of bird death. The ASNV members added that in the best interests of cats, birds, and other wildlife, the animal shelter should add a section to the website titled, “Cats Safe Indoors,” to educate visitors about the many benefits of keeping cats indoors and the risks posed to birds, other wildlife, and cats themselves by allowing cats to roam free. The group also wrote that the website would be strengthened by including local, state, and federal laws regarding the release of unwanted pets. You can see the entire response here. The federal Endangered Species Act has provided essential protection for vanishing species and their habitat, saving 99 percent of listed species from extinction. Here in Virginia—home to four bird species now protected under the act: the Piping Plover, Roseate Tern, Red-cockaded Woodpecker, and Kirtland’s Warbler—we can witness this effectiveness in our own skies. Any birder who lived in Northern Virginia in the early 1980s, as the Endangered Species Act completed its first decade, can recall the rarity then of spotting a Bald Eagle in this area. An eagle sighting over the Potomac was significant enough that the Washington Post might report on it. 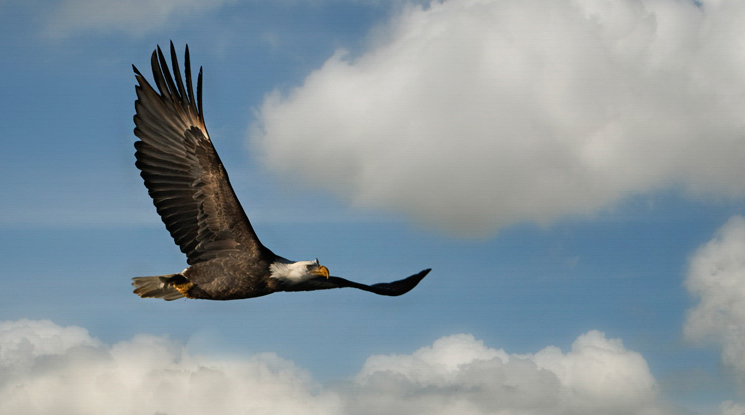 Today, the Bald Eagle nests along waterways throughout Northern Virginia, and U.S. Fish and Wildlife Service officials removed it from the Endangered and Threatened Species List in 2007. Once nearly wiped out in the lower 48 states, this raptor stands out as testimony to the effectiveness of the Endangered Species Act, backed by federal eagle protection laws, migratory bird laws, and certain federal pesticide bans. Please contact your representative in the House (www.house.gov) and your senators (www.senate.gov) to express your views about ensuring that the federal Endangered Species Act continues to protect our natural heritage for generations to come. For more information on contacting elected officials, go here. Also send comments to the U.S. Fish and Wildlife Service and the National Marine Fisheries Service, which are giving the public until September 24th to comment. You can send comments by going here. Remind them that the law has helped to restore a wide range of species, from whooping cranes to wolves; that it protects habitat, which in turn creates a safer world for human residents; and that it has served as a model for conservation throughout the world. For more information, visit the National Audubon Society website. On November 6, Virginians will elect 11 members to the U.S. House of Representatives and one to the U.S. Senate. Campaigns provide advocates with opportunities to learn candidate views and proposals and with chances to influence candidate perspectives on important issues. To vote on November 6, you must register by October 15. For more information, visit https://www.elections.virginia.gov/voter-outreach/upcoming-elections.html. Virginia conservation leaders will gather on September 7 and 8 in Williamsburg at the College of William and Mary for the annual Environmental Assembly, an opportunity to learn about key issues and strategize with allies on how to address environmental threats. The assembly is hosted by the Virginia Conservation Network, of which ASNV is a member. For more info, email admin@vcnva.org or call 804-644-0283. Note to advocates: To reduce your carbon footprint, take the train to Williamsburg. Fee is $10 per car; $5 for persons on foot, bicycle, or being dropped off. Why not join the weekly Sunday walk at Great Falls? The trail is mostly through wooded areas and great for woodpeckers. Plus there are the river overlooks. Sponsored by the park. Getting there: From I-495, take exit 44 for route 193 west; continue 4 miles. Turn right on Old Dominion Drive. 9200 Old Dominion Dr., McLean, VA 22102. Meet in front of snack/concession stand at the Park Visitor Center. Enjoy another of Reston’s wooded areas for an early morning walk that should find fledglings of breeding birds in abundance. Sponsored by the Reston Association and The Bird Feeder of Reston. Getting there: From I-66 west, to exit 60 to go north on Route 123. Turn left on Hunters Mill Road/ Route 674. Turn left on Lawyers Road, Route 673. Turn right on Twin Branches Road. Park along Glade Drive near the intersection with Twin Branches. Meet at the corner. Come look for the birds that use the woods, fields, and ponds of the gardens for summer residence or for a refueling point on early fall migration. Meet leader Colt Gregory in the Visitor Center. Usual Garden fees apply. Sponsored by ASNV and Meadowlark. Getting there: The gardens are located off of Beulah Road, between Route 7 and Route 123, south of the Dulles Access Road. From the Beltway, take Route 7 toward Tysons Corner. Drive 4.5 miles west on Route 7, turn left onto Beulah Road and drive 2.5 miles to the gardens entrance on the right. Getting there: Take Georgetown Pike (Route 193) to Riverbend Road (Route 603). In 2 miles turn right on Jeffery Road and go 0.8 miles to park entrance sign on right. Turn right and continue 0.5 miles to Visitor Center parking. 8700 Potomac Hills St, Great Falls, VA 22066. Getting there: Take Georgetown Pike (Route 193) to Riverbend Road (Route 603). In 2 miles turn right on Jeffery Road and go 1.5 miles to Nature Center parking area (Don’t turn right at Main Park entrance sign). If you are looking for a convenient tool for identifying dragonfly species, go to your app store and check out Dragonfly ID. 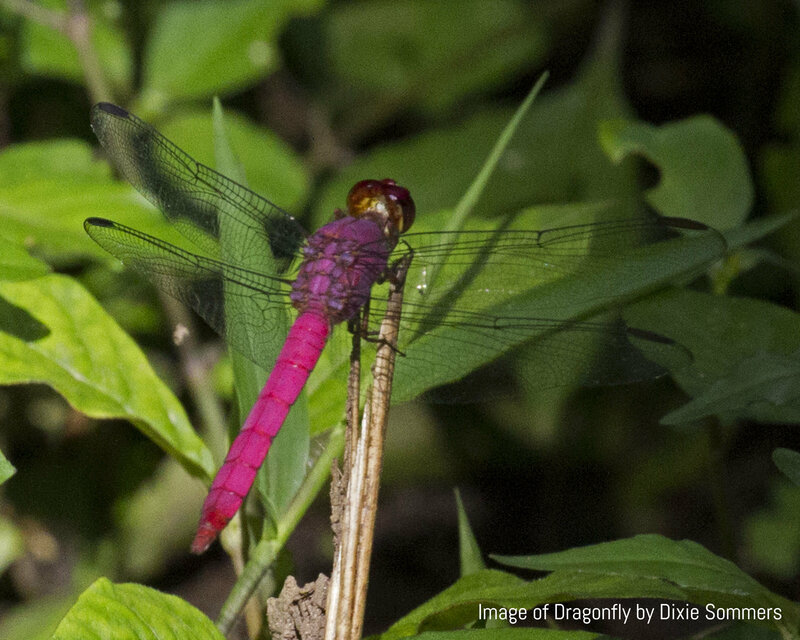 It will allow you to choose among dragonflies from across the continent or from those in your local area, and the free app gives you the means to identify the insects by size, color, habitat, and other simple characteristics. Hundreds of species are show in color photos accompanied by specific biological information.